Lenten Regulations may be found here. The Dramatic and Musical production of “The Way of the Cross’ will be performed in many Churches in our area. You are invited to experience your own walk with Christ and spend a short time in personal reflection and prayer. For more information click here. 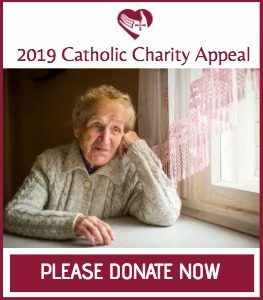 Have you given prayerful consideration to your gift for the 2018 Catholic Charity Appeal? Won’t you help us by being the “Hands of Christ” in supporting the people and the work of the Diocese of Providence? Many of you have responded to the Catholic Charity Appeal mailing from Bishop Tobin. On behalf of those served by the ministries and services funded by the Catholic Charity Appeal, we thank you for your gifts. If you have not made a gift to this year’s Appeal, you will be able to do so through our parish’s in-pew solicitation which will take place on the weekends of February 24/25 and March 3/4. Our parish goal this year is $ 73,000., the same as last year – a goal that can only be reached with your sacrificial help and support. All gifts, regardless of size, help to make a difference in the lives of so many individuals. The Second Collection February 24/25 and March 3/4 will be the Catholic Charities In Pew collection. Please be prepared to make your pledge at that time. Saturday, March 17th in the church hall at 7 PM. The usual Irish and Italian food will be served and there is a DJ for Dancing. Tickets are limited to 100 people. Gather your friends and family and reserve a table. If you are interested in attending, please call Ron Cazeault at 934-0010 for reservations. Dr. Scott Hahn coming to McVinney Auditorium Dr. Scott Hahn will be at McVinney Auditorium, 43 Dave Gavitt Way, Providence, on Saturday, April 7th beginning at 9:00 am for a morning discussing the importance of our Catholic faith – – learn just how important it is to know, understand, and live your faith in the world today. Register at www.mcvinneyauditorium.com. Sponsored by the St. Paul Center and hosted by the Diocese of Providence’s Office of Faith Formation and McVinney Auditorium. 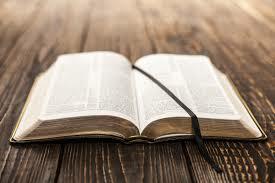 The Men’s Prayer Group will meet in the church at 7:00 PM on Monday, February 19th. The Knights of Columbus meeting will follow in the church at 7:30.